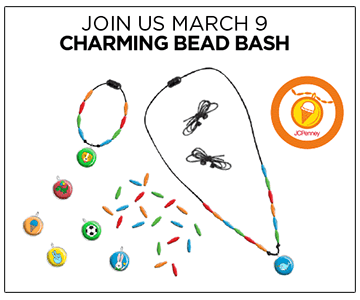 There is a FREE Charming Bead Bash at JCPenney Stores March 9th. Event is form 11AM – Noon. All materials will be provided by your store. Items are available while supplies lasts.